Now You Will Know That Aliens Exist – We Are Not Alone! Flying Saucers and UFOs are Alien Spacecraft. Many of them are huge beyond belief. They have been seen by millions of people around the world. 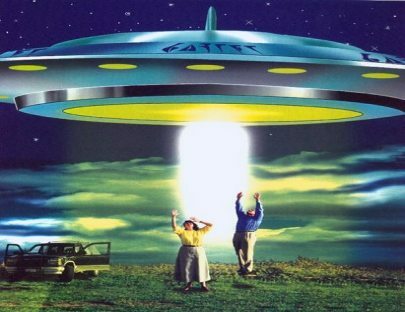 Aliens, UFOs and Flying Saucers have always been with us. Earth people have never been alone.This little known history will prove it. The depiction of Alien Beings in artwork and objects from ancient times has puzzled and frightened historians. Here are some excellent examples. Mind-blowing artifacts contradicting traditional human history have been found at archaeological sites around the world. Some of the most detailed descxriptions of Alien craft and extraterrestrial encounters are documented in many biblical chapters. To learn the truth about Alien Beings, you have to learn a NEW way of thinking about OLD things. Alien Discovery; A personal account of how an ordinary person stumbled upon the unspoken truth and how it changed his life. Alien craft sightings began en masse 2 years after the end of World War Two. This was the beginning of the realization that extraterrestrial beings actually existed. Alien contact had begun! In one of the most astounding events in human history, alien bodies were recovered from a downed spacecraft. The Fox Network airs a film reportedly showing an actual alien autopsy. What really happened? Why were alien flying saucers hovering over the White House in full view of tens of thousands of people? Have you seen the photos? Every American President for the last 60 years has acknowledged the existence of extraterrestrial aliens and flying saucers. Intelligence agency documents show a 60 year history of aliens visiting planet Earth. The official documents are available to you here. How are secret government projects used to keep the public blind about the alien presence on Earth? The answers appear. Dreamland is the code name for Area 51 a secret military base housing alien spacecreaft and maybe alien bodies. U.S. astronauts often saw alien spacecraft during their flights to the moon. What else did they see? What aliens created the Face on Mars? Have you seen what else they left on Mars? The universe is so large and strange, it's no wonder that alien existence is hard for some to believe. Why are aliens picking up cattle and leaving mutilated carcasses. Why are Black Helicopters also in the area? What is preventing open human contact with space aliens? The answermay surprise you. Here is what you need to know.. Even celebrities have had encounters with alien beings. Here are some you may not know about.